The KING of ice fishing scoops & skimmers – One scoop and DONE! 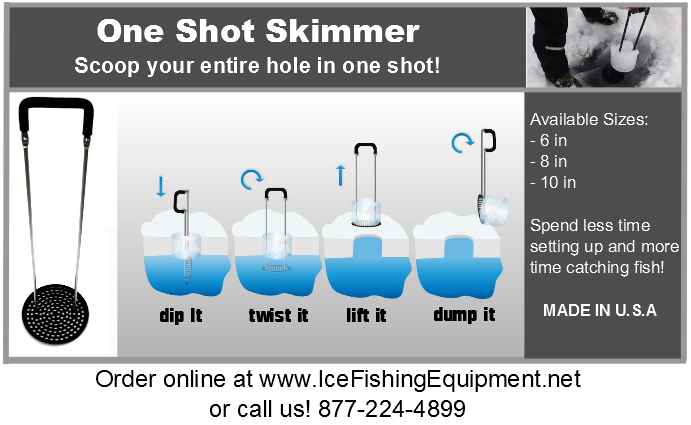 One Shot Ice Skimmer — Pro Edition will help you clean your ice fishing holes faster than any other scoop on the market. spend less time preparing to fish and more time actually ice fishing! Size options available for 6”, 8”, and 10” auger holes.